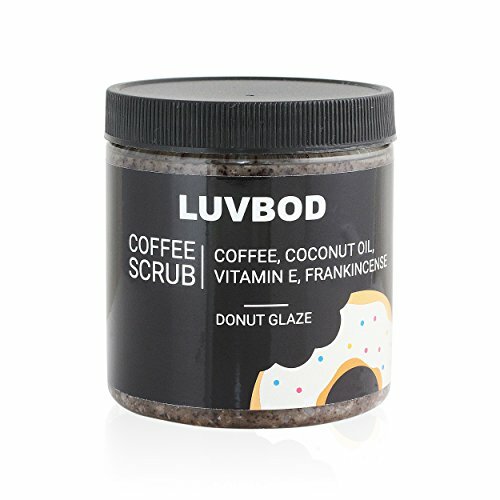 Get awakened by Donut Glaze Coffee Scrub from LUVBOD. ENRICHED WITH ANTIOXIDANTS - Nourish and Moisturize your skin in opulence; We use only the finest Raw Coconut Oil, PURE Vitamin E, Grapeseed oil, and Frankincense, which work in perfect harmony to help reduce the appearance of acne, eczema, and wrinkles naturally; When used in your daily routine, you skin will look and feel smoother and more radiant. AWAKEN YOUR SENSES - Energize your day with the delicious scent of donut glaze coffee scrub. Best Coffee Scrubs are all about our all-natural, powerhouse ingredients that awaken your senses and revitalize your skin. Smell and feel fabulous! We seek the highest caffeine content coffees for our body scrubs. Why is caffeine great for your body? It reduces inflammation, skin redness, the appearance of dark circles, and cellulite. 2x Caffeine is also known to treat rosacea and tighten the skin to reduce the appearance of fine lines and wrinkles. Need skin hydration without getting too oily? 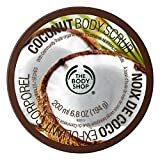 We only use only the most premium and purest RAW Coconut Oil in our body scrub. Coconut oil helps moisturize your skin and keep it clear with its antibacterial properties to ward off those pesky fine lines and wrinkles. Want to get your youthful look back? Vitamin E has antioxidant properties that your skin needs. It helps fight off free radicals and reduces the appearance of wrinkles. We spare no expense in our coffee scrubs, we use the purest IU concentration of Vitamin E money can find. 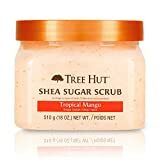 You deserve the best body scrub! Our secret ingredient for the best coffee scrub is not so secret!